We’re well accustomed to the fact that connectivity is the sine qua non of survival for modern businesses and enterprises. But the industrial revolution 4.0 and rapid proliferation of IoT devices is also making connectivity the prime factor for both massive opportunities and severe vulnerabilities of the industrial sector and critical infrastructure. 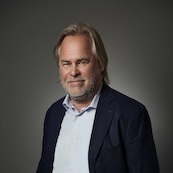 Guiding you through the current cyber threat landscape Eugene Kaspersky will talk about the necessary move from cyber security to the concept and embodiment of cyber immunity. Founder & CEO, Kaspersky Lab UK Ltd.